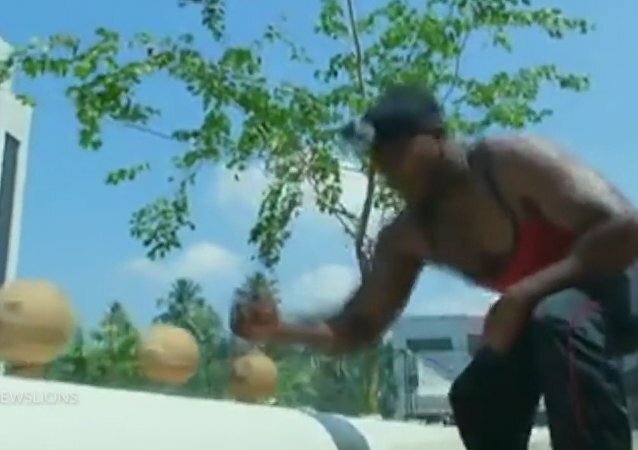 This video reveals the world record in the smashing of coconuts by a Taekwondo master. Disrrael Acosta from Cuba eats glass and can peel coconuts with his teeth. His stomach must be made of steel! Abeesh Dominic, a 25-year-old motor mechanic from India, set a smashing world record, breaking the most coconuts with his fist within a one-minute-period. He actually managed to break 145 of them, but only fully-crushed coconuts were counted. What if you somehow found yourself on a tropical island and before you stood a tall tree topped with tasty coconuts? Here's a tutorial on how to get them. A master class from a Samoan chief.